The floodgates are about to open. Prime Minister Nawaz Sharif arrived in Beijing over the weekend to participate in the One Belt, One Road summit, and the top item on his agenda is to finalise the Long Term Plan (LTP) for the China-Pakistan Economic Corri­dor. [See next tab for details on how the plan was made]. Dawn has acquired exclusive access to the original document, and for the first time its details are being publicly disclosed here. The plan lays out in detail what Chinese intentions and priorities are in Pakistan for the next decade and a half, details that have not been discussed in public thus far. Two versions of the Long Term Plan are with the government. The full version is the one that was drawn up by the China Development Bank and the National Development Reform Commission of the People’s Republic of China. It is 231 pages long. The shortened version is dated February 2017. It contains only broad brushstroke descriptions of the various “areas of cooperation” and none of the details. It was drawn up for circulation to the provincial governments to obtain their assent. It is 30 pages long. The only provincial government that received the full version of the plan is the Punjab government. For instance, thousands of acres of agricultural land will be leased out to Chinese enterprises to set up “demonstration projects” in areas ranging from seed varieties to irrigation technology. A full system of monitoring and surveillance will be built in cities from Peshawar to Karachi, with 24 hour video recordings on roads and busy marketplaces for law and order. A national fibreoptic backbone will be built for the country not only for internet traffic, but also terrestrial distribution of broadcast TV, which will cooperate with Chinese media in the “dissemination of Chinese culture”. In other cases, such as textiles and garments, cement and building materials, fertiliser and agricultural technologies (among others) it calls for building the infrastructure and a supporting policy environment to facilitate fresh entry. A key element in this is the creation of industrial parks, or special economic zones, which “must meet specified conditions, including availability of water…perfect infrastructure, sufficient supply of energy and the capacity of self service power”, according to the plan. But the main thrust of the plan actually lies in agriculture, contrary to the image of CPEC as a massive industrial and transport undertaking, involving power plants and highways. The plan acquires its greatest specificity, and lays out the largest number of projects and plans for their facilitation, in agriculture. The plan states at the outset that the corridor “spans Xinjiang Uygur Autonomous Region and whole Pakistan in spatial range”. It’s main aim is to connect South Xinjiang with Pakistan. It is divided into a “core area” and what they call the “radiation zones”, those territories that will feel the knock on effects of the work being done in the core area. The core area includes “Kashgar, Tumshuq, Atushi and Akto of Kizilsu Kirghiz of Xinjiang” from China, and “most of Islamabad’s Capital territory, Punjab, and Sindh, and some areas of Gilgit-Baltistan, Khyber Pukhtunkhwa, and Balochistan” from Pakistan. It has “one belt, three passages, and two axes and five functional zones”, where the belt is “the strip area formed by important arterial traffic in China and Pakistan”. For agriculture, the plan outlines an engagement that runs from one end of the supply chain all the way to the other. From provision of seeds and other inputs, like fertiliser, credit and pesticides, Chinese enterprises will also operate their own farms, processing facilities for fruits and vegetables and grain. Logistics companies will operate a large storage and transportation system for agrarian produce. It identifies opportunities for entry by Chinese enterprises in the myriad dysfunctions that afflict Pakistan’s agriculture sector. For instance, “due to lack of cold-chain logistics and processing facilities, 50% of agricultural products go bad during harvesting and transport”, it notes. A full system of monitoring and surveillance will be built in cities from Peshawar to Karachi, with 24 hour video recordings on roads and busy marketplaces for law and order. The plan shows great interest in the textiles industry in particular, but the interest is focused largely on yarn and coarse cloth. Asadabad, Islamabad, Lahore and Gwadar will see a vegetable processing plant, with annual output of 20,000 tons, fruit juice and jam plant of 10,000 tons and grain processing of 1 million tons. A cotton processing plant is also planned initially, with output of 100,000 tons per year. “We will impart advanced planting and breeding techniques to peasant households or farmers by means of land acquisition by the government, renting to China-invested enterprises and building planting and breeding bases” it says about the plan to source superior seeds. In each field, Chinese enterprises will play the lead role. “China-invested enterprises will establish factories to produce fertilizers, pesticides, vaccines and feedstuffs” it says about the production of agricultural materials. “China-invested enterprises will, in the form of joint ventures, shareholding or acquisition, cooperate with local enterprises of Pakistan to build a three-level warehousing system (purchase & storage warehouse, transit warehouse and port warehouse)” it says about warehousing. One of the most intriguing chapters in the plan speaks of a long belt of coastal enjoyment industry that includes yacht wharfs, cruise homeports, nightlife, city parks, public squares, theaters, golf courses and spas, hot spring hotels and water sports. For industry, the plan trifurcates the country into three zones: western and northwestern, central and southern. 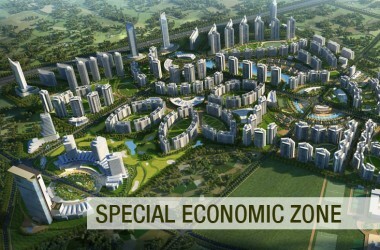 Each zone is marked to receive specific industries in designated industrial parks, of which only a few are actually mentioned. The western and northwestern zone, covering most of Balochistan and KP province, is marked for mineral extraction, with potential in chrome ore, “gold reserves hold a considerable potential, but are still at the exploration stage”, and diamonds. One big mineral product that the plan discusses is marble. Already, China is Pakistan’s largest buyer of processed marble, at almost 80,000 tons per year. The plan looks to set up 12 marble and granite processing sites in locations ranging from Gilgit and Kohistan in the north, to Khuzdar in the south. The plan shows great interest in the textiles industry in particular, but the interest is focused largely on yarn and coarse cloth. The reason, as the plan lays out, is that in Xinjiang the textile industry has already attained higher levels of productivity. Therefore, “China can make the most of the Pakistani market in cheap raw materials to develop the textiles & garments industry and help soak up surplus labor forces in Kashgar”. The ensuing strategy is described cryptically as the principle of “introducing foreign capital and establishing domestic connections as a crossover of West and East”. Judging from their conversations with the government, it appears that the Pakistanis are pushing the Chinese to begin work on the Gwadar International Airport, whereas the Chinese are pushing for early completion of the Eastbay Expressway. In any plan, the question of financial resources is always crucial. The long term plan drawn up by the China Development Bank is at its sharpest when discussing Pakistan’s financial sector, government debt market, depth of commercial banking and the overall health of the financial system. It is at its most unsentimental when drawing up the risks faced by long term investments in Pakistan’s economy. It asks for financial guarantees “to provide credit enhancement support for the financing of major infrastructure projects, enhance the financing capacity, and protect the interests of creditors.” Relying on the assessments of the IMF, World Bank and the ADB, it notes that Pakistan’s economy cannot absorb FDI much above $2 billion per year without giving rise to stresses in its economy. “It is recommended that China’s maximum annual direct investment in Pakistan should be around US$1 billion.” Likewise, it concludes that Pakistan’s ceiling for preferential loans should be $1 billion, and for non preferential loans no more than $1.5 billion per year. The other big risk the plan refers to is exchange rate risk, after noting the severe weakness in Pakistan’s ability to earn foreign exchange. 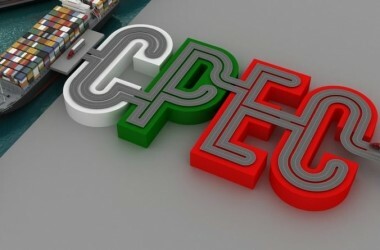 To mitigate this, the plan proposes tripling the size of the swap mechanism between the RMB and the Pakistani rupee to 30 billion Yuan, diversifying power purchase payments beyond the dollar into RMB and rupee basket, tapping the Hong Kong market for RMB bonds, and diversifying enterprise loans from a wide array of sources. The growing role of the RMB in Pakistan’s economy is a clearly stated objective of the measures proposed. It is not clear how much of the plan will be earnestly followed up and how much is there simply to evince interest from the Pakistani side. In the areas of interest contained in the plan, it appears access to the full supply chain of the agrarian economy is a top priority for the Chinese. After that the capacity of the textile spinning sector to serve the raw material needs of Xinjiang, and the garment and value added sector to absorb Chinese technology is another priority. Next is the growing domestic market, particularly in cement and household appliances, which receive detailed treatment in the plan. And lastly, through greater financial integration, the plan seeks to advance the internationalization of the RMB, as well as diversify the risks faced by Chinese enterprises entering Pakistan. In some areas the plan seeks to build on a market presence already established by Chinese enterprises, eg Haier in household appliances, ChinaMobile and Huawei in telecommunications and China Metallurgical Group Corporation (MCC) in mining and minerals. Gwadar receives passing mention as an economic prospect, mainly for its capacity to serve as a port of exit for minerals from Balochistan and Afghanistan, and as an entreport for wider trade in the greater Indian Ocean zone from South Africa to New Zealand. There is no mention of China’s external trade being routed through Gwadar. Judging from their conversations with the government, it appears that the Pakistanis are pushing the Chinese to begin work on the Gwadar International Airport, whereas the Chinese are pushing for early completion of the Eastbay Expressway. But the entry of Chinese firms will not be limited to the CPEC framework alone, as the recent acquisition of the Pakistan Stock Exchange, and the impending acquisition of K Electric demonstrate. In fact, CPEC is only the opening of the door. What comes through once that door has been opened is difficult to forecast.